After a long 2-3 days of Oklahoma tornadoes including the historic EF5/EF4 tornado to strike Moore, OK, the tornado threat now shifts south. East Texas looks to be the hardest hit, with watches and warnings already issued this morning. 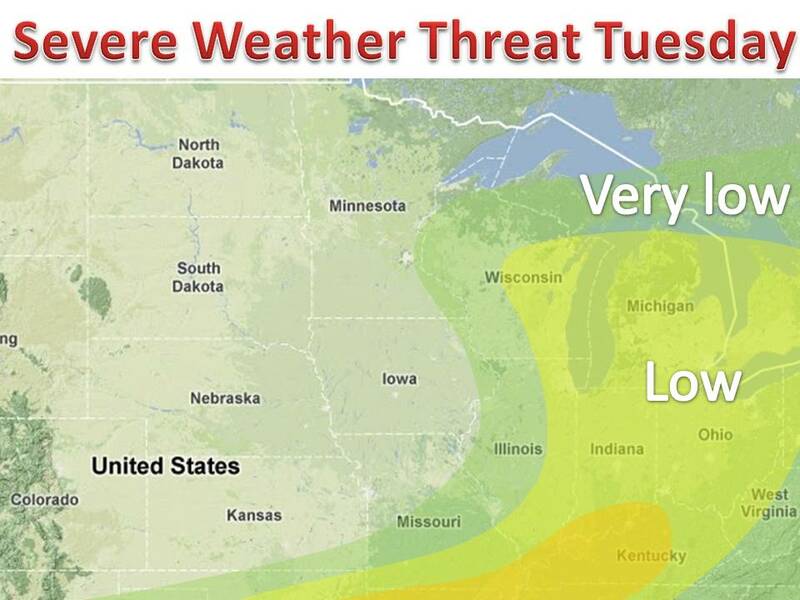 For the Midwest, damaging winds and large hail are the primary threat. As always, we cannot rule out isolated tornadoes, nothing in line with the Moore tornado. A cold front will move in later today and tonight and stabilize the atmosphere, with scattered showers to follow through the middle of the week.